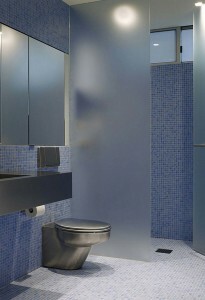 Thompson Glass are experts in installing Residential Showers and Mirrors. 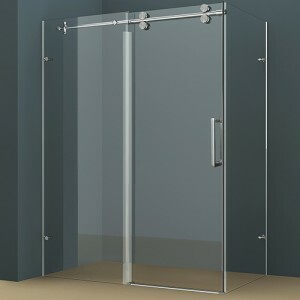 No bathroom is ever truly complete without a modern and stylish glass shower screen. So, give us a call now to arrange for a free measure and quote for your new Shower and mirrors! We can install a shower screen to suit any setup. There is no need to remove brickwork or mess around with replacing your vanity unit. We can install between walls, in a corner, on or over an existing hob wall. 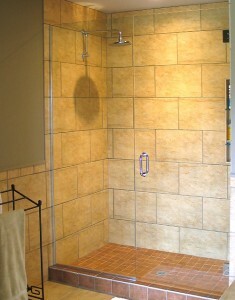 We create a three-sided design to form a fully enclosed shower area. Also interested in glass solutions around the house? Feel free to take a look at our other products such as Railing Glass, Patio Doors and Screens and Windows, Doors and Skylights. Another item no bathroom can do without is a clean modern mirror. We can supply silver, grey or bronze mirrors to any size in a variety of styles and thicknesses. We can also supply mirrors with a vinyl backing for extra safety so you don’t have the risk of broken glass everywhere if your mirror does get broken. Our mirrors can come with or without a frame. Also available are several options for edge work. If you do want your mirror framed we are happy to do that too. In need of emergency repairs of your residential showers? Feel free to call us on our emergency hotline!